Shame and stigma can follow teens with addiction and substance use disorder. A teen may not be ready to admit how much shame plays a factor in the psychology of substance use or the teen may keep it a secret. Treatment may also be refused because this would require disclosure of addictive behaviors which results in isolation and loneliness. When a teen’s family has money or an elite identity, it may be even more difficult for a teen to seek help, for a number of reasons. Talking about money can be a taboo subject. In American culture and within families, money is rarely discussed publicly and sometimes not even privately. When money is discussed, conversations may bring feelings of shame, guilt, fear and powerlessness. Finances are one of the last taboo subjects along with sexuality which makes it difficult for a teen from a wealthy family to seek help. Treatment staff may have a difficult time working with a teen from a wealthy family if a teen sees staff as serving the teen’s interests. Individuals with money may look at therapists as serving the needs of the teen rather than finding value in an equal client-therapist relationship. Surrender to the process of recovery may be difficult for a teen with wealth but is an important step in recovery. Teen substance abuse treatment programs help young people experience a more balanced view of the therapeutic relationship as a marker of improvement in addictive behaviors. Without a therapeutic alliance between staff and the teen, treatments may not be as effective. Teens who have money and those who do not experience many emotions due to hormonal shifts and growth spurts happening at a rapid pace. Add to this addiction to substances or alcohol and the recipe can be disastrous. For change to occur in a treatment setting, a teen must be able to feel heard and understood in spite of all that has gone one. A teen must feel intuitively valued as a human being and not manipulated as a result of the youth’s elite status or wealth. Empathy and vulnerability are big components of a teen’s identity which must be built on trust in the communities with whom the teen’s care is entrusted. Once a teen feels a person or team of people empathize with the situation at hand, insight may occur which can allow a teen to explore past or present memories or experiences which help illuminate the future. When vulnerability and empathy are present, a teen can feel safe to surrender to the process of healing, personal exploration and, ultimately, recovery. 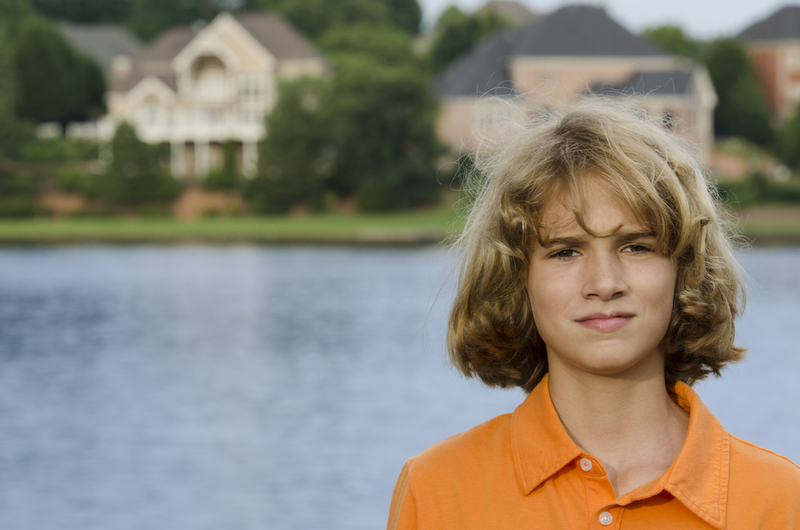 A teen from a wealthy family deserves the same respect and care any teen should expect in treatment. A focused approach dealing with values based treatment incorporating empathy, vulnerability and open space to feel heard can develop room for enough growth to prepare a teen’s heart and mind for recovery. Addiction is challenging at any age, especially as a teenager. If you are helping a teenager through addiction, Hired Power has resources to support your journey. Contact us for more details on how we can help your teen recover from addiction.